Zipper foot # 4D makes quick work of inserting zippers neatly and precisely. Its narrow, centrally placed toe allows Zipper foot # 4D to get very close to the zipper coils, enabling it to attach the fabric securely. The result is a perfectly inserted zipper with a consistent stitch pattern. 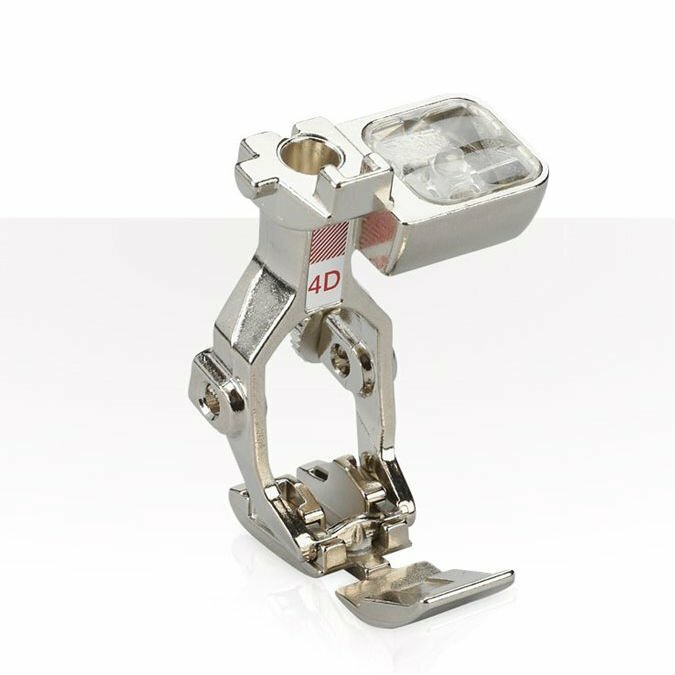 Thanks to its narrow shape, Zipper foot # 4D is also suited to sewing on piping and snap tape, as well as edgestitching.